A 60-year-old Southern Humboldt man faces 14 years in state prison after pleading guilty to voluntary manslaughter stemming from the April 25, 2015, killing of a woman in Phillipsville. 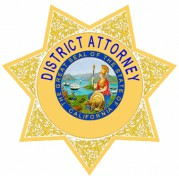 According to a press release from the Humboldt County District Attorney’s Office, Earl Orr pleaded guilty Friday to voluntary manslaughter and using a firearm to cause death, accepting responsibility for the shooting of Jessica Hare, 47, of Phillipsville. According to the release, Orr shot Hare while “drunk and belligerent” and had no memory of the killing when contacted by police. Orr is scheduled to be sentenced Sept. 22 in the case, but is in line to receive a 14-year term stipulated as a part of the plea agreement. District Attorney Maggie Fleming announced this afternoon that Earl Orr (60), pled guilty to voluntary manslaughter and use of a firearm for the death of 47-year-old Phillipsville resident Jessica Hare. On April 25, 2015 at approximately 8:30 p.m., a citizen notified law enforcement of a gunshot victim at a residence in the 400 block of Phillipsville Loop Road in Phillipsville. Responding Humboldt County Sheriff’s Deputies and California Highway Patrol Officers found the victim deceased. They learned from several witnesses that Mr. Orr had been in the residence with the victim and that Mr. Orr had been armed with a pistol, drunk and belligerent. Several hours later Mr. Orr was found sleeping in his trailer home near where the shooting occurred. His blood alcohol level at the time was 0.14 (nearly twice the legal limit for driving) and he claimed to have no memory of killing Ms. Hare. Humboldt County Sheriff’s Deputies recovered the weapon used in the shooting inside Mr. Orr’s trailer home. An autopsy confirmed that Ms. Hare died of a single gunshot wound. The defendant will receive a 14-year prison term: the maximum term for manslaughter (11 years) plus 3 years for the use of a firearm. The case was prosecuted by Deputy District Attorney Stacey Eads, who was assisted by District Attorney Investigator Gary Cooper. Sentencing is scheduled for September 22, 2016 in Humboldt Superior Court before Judge Marilyn Miles.